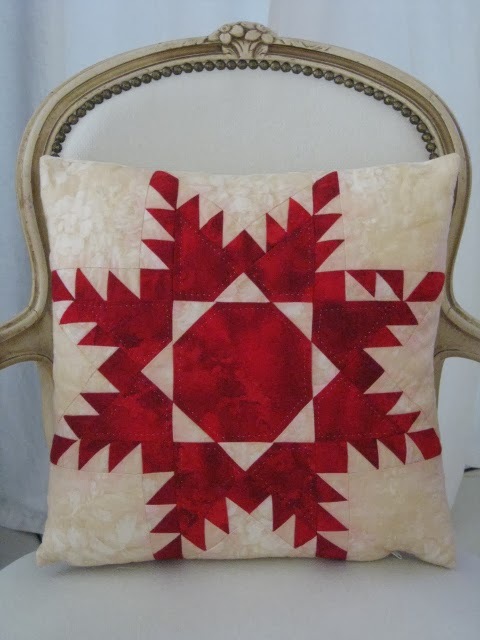 as it was the first Feathered Star I pieced some years ago. Love this pillow...so wintery!! Thanks for sharing under our hand quilting theme. Actually Christine, the mistake makes me love it all the more. Very festive!